*Only available in the Continental US (48 states), Canada, & District of Columbia. *Plastic-coated shatterproof lamps cannot be crushed in the Bulb Eater. 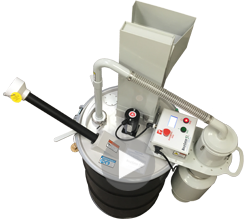 The Bulb Eater® 3L lamp crusher unit is equipped with a side-mounted dust filter unit containing the highest quality HEPA filter available. This works in conjunction with an activated carbon filter located in a steel canister. 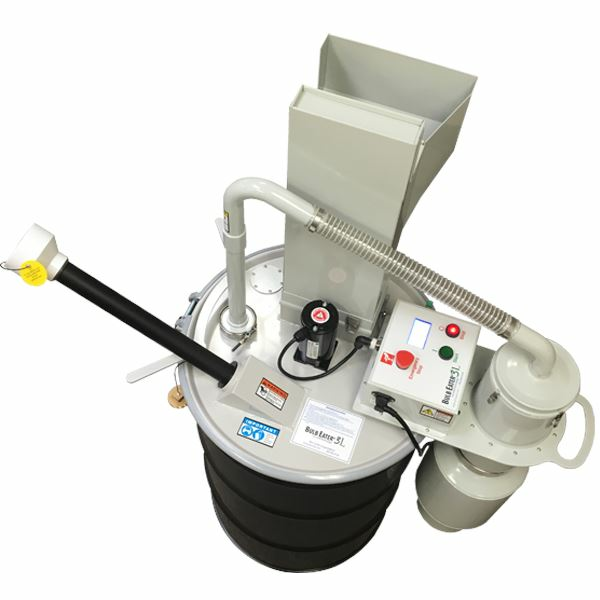 The activated carbon filter actively captures and neutralized the mercury vapor released from the lamps during crushing. A recent study showed non-detectable levels of escaped mercury vapor even after crushing 2700 lamps (Bulb Eater® 3L Air Emissions Report). 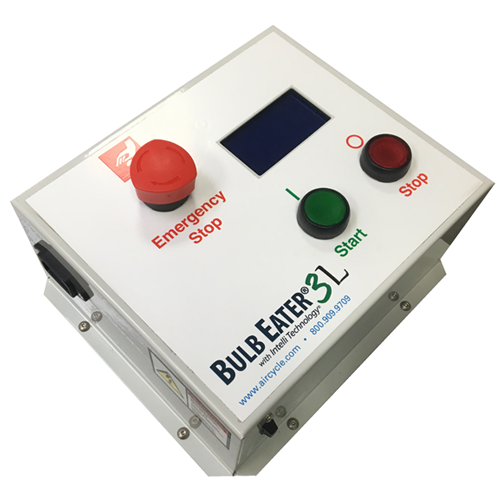 The Bulb Eater® 3L features a new 4 stage filter system, a digital control with LCD display, self-diagnostic fault codes, and a higher motor speed for increased lamp waste per drum. 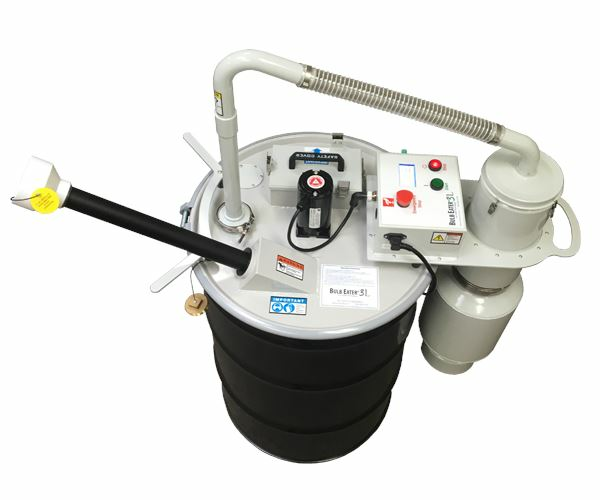 In addition to providing OSHA and ACGIH compliance, the Bulb Eater® 3L lamp crusher frees up valuable storage space normally filled with boxes of spent whole lamps, reduces handling and related labor costs, and typically cuts recycling costs by 50% or more. *Only available in the Continental US (48 states), Canada, & District of Columbia. Not Available in CA, MN, MO, ME, VT, NH, CT, RI, PA and WV. Why did you decide to purchase your Bulb Eater® 3? On a scale of 0 to 10 (0 being not at all likely, 10 being extremely likely) how likely are you to recommend Air Cycle to a friend or colleague? Bulb Eater 3 Review by Project Leader for "EPA Region 3 Drum-top Crushing Study"